I am sure that you’ve heard it before: A mom’s job is never done. Sometimes we wear this statement as a badge of honor and other times we haul it around like a heavy burden. Moms want to be needed, just not all the time—and especially not between the hours of 8pm and 8am. We get up early and stay up late, taking care of others and often neglecting ourselves. We work and work, but there seems to be more and more to do. We fall into bed exhausted and get ready to do it over again tomorrow—it is fulfilling yet tiring work. I have been a stay-at-home mom for over a decade, but over the past few years I also started working from home, writing and doing photography. It was exciting to stretch my creative muscles and make a little money too—while still being at home with my kids. My work-from-home jobs sometimes felt easier and more fulfilling than refereeing sibling squabbles or facing the looming laundry pile. However, I was also getting up early, going to bed late and was short-fused with my family because I was doing “important work.” I struggled to set boundaries. It felt nearly impossible to stop a project part-way through. I pushed through fatigue in order to get as much done as I could. My marriage suffered, my kids acted out, and I felt the tension between two callings. About a year into this process, I was convicted that I had become a workaholic. I had crossed the line between working hard and not knowing when to stop for the day. I was shocked at this realization. In the past, I judged those who were workaholics and complained about their choices. Unfortunately, I saw many people who had difficulty taking a day off and leaving things undone. I had been critical of others who didn’t have healthy balance between work and family, but now, I was one of them. I knew that being a workaholic was not an admirable or healthy lifestyle. I wanted to change, but felt helpless to do it. You can quickly spot a workaholic in the workforce. They often go to the office early and stay well beyond quitting time. Their marriage is negatively impacted and their kids stop believing that they’ll show up to games and activities. 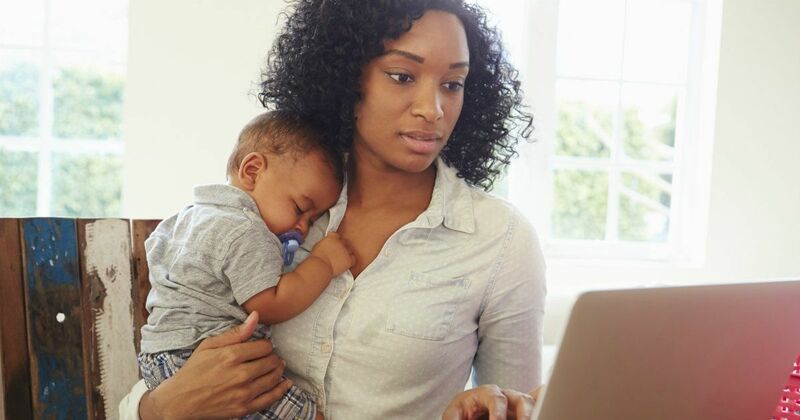 It's easier to hide workaholic tendencies when we are at home but the effects can be just as damaging, to ourselves and those in our care, as those working outside the home. Some seasons require longer hours and more demands on our time, but if a blinding busyness is the norm, then I think we need to reevaluate. If we’re not careful, we can quickly become addicted to productivity and seduced by selfish ambition. Are you sidestepping self-care and rejecting Sabbath rest for the sake of being important, needed and getting just one more thing done? Instead of viewing our work as never done, let’s ask God to help us delegate, protect our pace and have at least one day where we rest and recuperate. It demonstrates trust in God and His Sufficiency to follow His lead, and rest—even when there’s still work to do. We are not made to do it all. When I call it a day and go play with my family, I actually get more done the next day because I am not sleep-deprived or depleted from overextending myself. 1. Has your work become all-consuming? 2. Do you seek approval and validation from motherhood, your job or from God? 3. In what ways can you enlist others to help you get things done? 4. Do you have set hours for work and accountability to stop after those hours are completed? 5. What are some ways you can implement healthy boundaries so that you are not running yourself ragged? Admitting our weaknesses, asking for help and setting boundaries can help us live more-balanced in world that rarely punches out on the time clock. It takes discipline, accountability and trust in God to rest from our labor. But, I believe that God blesses us for having healthy work patterns and following His lead of working well and resting well. Thank You for modeling rest for us. Forgive us for not trusting You enough to take a break and leave some things undone, or entrust others to complete those tasks. Help us to have healthy work habits and not overextend ourselves to the point of exhaustion. Thank You that You give us grace for our guilt, wisdom for our foolishness and hope for our hangups. We want to honor You with our time. We want to work hard, but in a way that is healthy and balanced. Thank You that change is possible. Help us to enjoy those around us and be present with them. Thank You that You enjoy us and are present with us. Related Video: Why are Women Overwhelmed and Stressed Out? iBelieve.com: Why are Women Overwhelmed and Stressed Out? - Kate Harris from ibelievedotcom on GodTube.